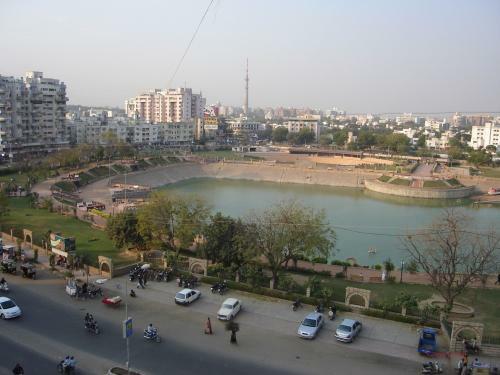 A pictorial lake in a lustrous environment is a joyful visa and Vastrapur lake in the western part of Ahmedabad is one of such alluring location. 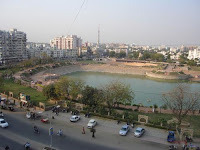 The lake was beautified by the Ahmedabad Municipal Corporation and has since become a popular spot in the city. Encircled by all around greenery vastrapur lake is a must see spectacle in the city. Green lawns in the surrounding happen to be the most popular podium of various cultural events. There is a pathway all around the lake which serves many walkers and joggers in the early mornings and in the evenings. Water lovers can go for boating since, and the less adventurous can embark on a nice promenade through the nice pathway that rounds the lake. The lake looks so appealing at times when it is fed with the waters from the Narmada river. Let your children loose in the lush environ of the Vastrapura lake and they will have enough to keep themselves engaged in the adjoining children’s park.